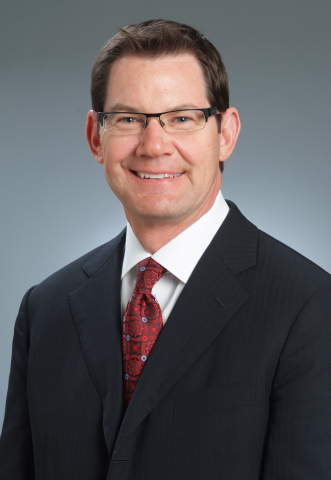 FRISCO, Texas--(BUSINESS WIRE)-- Conifer Health Solutions, a leader in business process management services for the healthcare industry, is pleased to announce that President and CEO Stephen Mooney has been named an Ernst & Young Entrepreneur Of The Year® 2013 Southwest Area North Award finalist. This prestigious awards program recognizes high-growth entrepreneurs who demonstrate excellence and extraordinary success in areas such as innovation, financial performance and personal commitment to their businesses and communities. A panel of independent judges selected Mooney as a finalist from nearly 100 nominations. "It's an honor to be recognized with some of the area's top business leaders. I share this recognition with every member of our team helping our clients provide a better foundation for health," said Conifer Health President and CEO Stephen Mooney. "It's an exciting time at Conifer Health as we continue to enhance our solutions in the Revenue Cycle, Value-Based Care, and Patient Engagement businesses." Mooney has led the company since 2008, helping transform Conifer Health from a revenue cycle and patient communications company serving 50 hospitals to an industry leader in providing technology-enabled financial and clinical process solutions to more than 600 clients nationwide, including hospitals, health systems, physician groups, community health plans, and self-insured employers. In 2012, Mooney orchestrated Conifer Health's ground-breaking partnership with Catholic Health Initiatives, and completed the strategic acquisitions of Dell's Hospital Revenue Cycle Management business and InforMed Health Care Solutions for population health management. Award winners will be announced at a special gala event June 22, 2013, at the Sheraton Downtown Dallas. Conifer Health Solutions is a healthcare business process management services provider working to improve operational performance for more than 600 clients so they can support financial improvement, enhance the patient experience, and drive value-based performance. Through our revenue cycle management, patient communications and engagement, and value-based care solutions, we empower healthcare decision makers—hospitals, health systems, physicians, self-insured employers, and community and government health plans—to better connect at every point of patient engagement. Conifer Health processes 10 million patient accounts annually, manages $21 billion in annual patient revenue, and provides technology and health management services to support care management for more than 3 million lives. For more information, call 1-877-CONIFER or visit www.coniferhealth.com. Conifer Health Solutions, LLC, is a subsidiary of Tenet Healthcare Corporation (NYS: THC) . Some of the statements in this release may constitute forward-looking statements. Such statements are based on our current expectations and could be affected by numerous factors and are subject to various risks and uncertainties, certain of which are discussed in Tenet's filings with the Securities and Exchange Commission, including its annual report on Form 10-K for the year ended Dec. 31, 2012, quarterly reports on Form 10-Q, and periodic reports on Form 8-K. Do not rely on any forward-looking statement, as we cannot predict or control many of the factors that ultimately may affect our ability to achieve the results estimated. We make no promise to update any forward-looking statement, whether as a result of changes in underlying factors, new information, future events or otherwise. The article Conifer Health Solutions President and CEO Stephen Mooney Named Finalist for Ernst & Young Entrepreneur Of The Year® originally appeared on Fool.com.